That’s what a publisher told me, paraphrasing the experimental author BS Johnson, who used that as the title of his own memoir – so how come I ended up writing two volumes of them? What happened was this. I’d been thinking of writing about growing up in a house virtually without books, in the style of Nigel Slater’s ‘Toast’, in which he writes about growing up wanting to be a chef in a house where nobody cooked, and the result was ‘Paperboy’. It was about wanting to tell stories and making them up when there where none available. I’ve always felt that writers should remain invisible behind their works, and had never intended to write about myself. A book about the sovereignty of words, the development of the imagination and the act of reading somehow turned into the opposite of a misery memoir. It grew out of several pieces I had read aloud at literary festivals which had gone down well, and gradually evolved, but along the way family members wormed their way in and friends became inextricably Pritsticked into the story. The book was a great personal success for me, won an award and did well (although it upset my Auntie Doreen, who has since kindly forgiven me) but having reached a natural conclusion about the past, reading and my relationship with my father, I brought it to an end at a point before I’d begun my career. When I set out to chronicle my so-called career in the British film industry, I found the same problem arising; it would involve a human story. I didn’t feel as qualified as others to write an academic analysis of British cinema, but it was impossible to discuss films without setting them in context. Once again, the finished book turned out to be very different from what I’d intended, partly about English films and the act of seeing, and partly about the friendship of two penniless film obsessives who ended up running a unique film marketing company. It also became a requiem for a lost way of life. It was hard to fillet out the personal parts from the book as a standalone piece, so I ended up including an extraordinarily colourful character, my lifelong business partner, Jim Sturgeon. I basked in his reflected light and remained his shadow; we made a great team and ran a great company. Along the way, the book managed to fit in a lot of histories of British films and cinemas. I’m glad I wrote pair of books; my memory is shocking and lots of good material fell by the wayside because I didn’t keep records or photos; its considered rather bad form to snap selfies with stars if you’re working with them, but at least a few of these stories got told. I resolved to only think about the past while I was writing these two books – I’m not a fan of looking back. Perhaps one day there’ll be a third and final volume about an entirely separate career – writing books. I greatly enjoyed both volumes of your autobiography and look forward eagerly to a third volume and more. I Second that; it would be good to have your observations of the publishing business in a book. From Stephen. Yes total agreement from me. I would like to read about your career as an author, a third volume would be a great read I am sure. 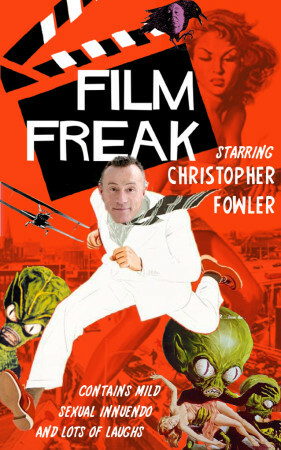 I really enjoyed Paperboy but did not get film freak because I have seen so few movies that the names and titles just go past me and I feel I would scarcely appreciate it. The third volume, and I know there will be a third volume, is another thing entirely. That I would really enjoy, names notwithstanding. Just as I was preparing to question Amazon UK my copy of Sandmen arrived. Have already started it and am excited already – don’t like those circle things for a start. Oh, and nice cover by the way. Looking forward to vol 3. The Paperboy is fantastic. 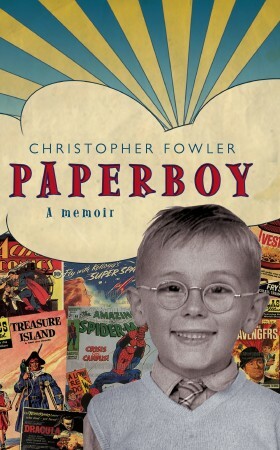 Really loved Paperboy and both memoirs were terrific reads for me. Anxiously looking forward to an additional volume covering your writing career to date. Perhaps as you get older you can contemplate volumes 4 and/or 5.